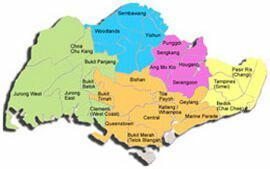 We recently sold a Duxton Road shophouse for $5.9 million within 3 months of sole exclusive appointment. Our client is very happy with the sale and have written us a wonderful testimonial below. We thank our client so much for the testimonial. We would like to commend & congratulate Jack Siew from Corporate Visions for the exceptional work he did on the sale of our Shophouse in Duxton Road despite the market being not at its peak. Though Jack has always been a reliable, honest, positive and diligent agent on other transacations that we collaborated before, this particular sale has surpassed our expectations. We are impressed with Jack's "never give up" attitude and the initiative to perform additional tasks outside his scope to help us achieve our target sale. 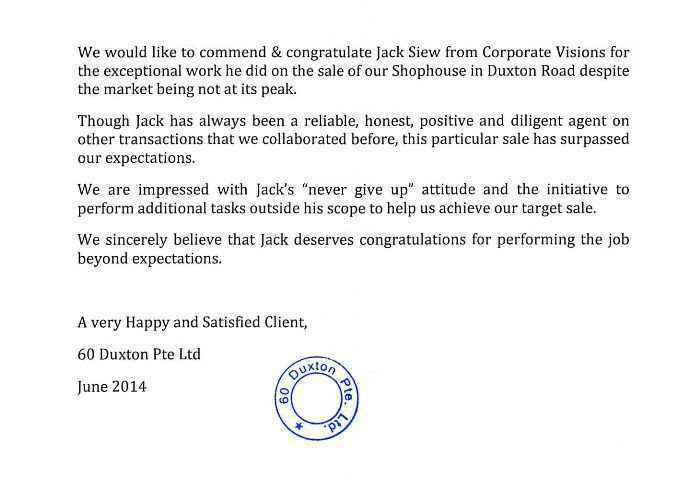 We sincerely believe that Jack deserves congratulations for performing the job beyond expectations. Below is a printscreen of the original testimonial. Subscribe Now to receive our latest news to your inbox!